Do You Want Your Orlando Wedding to be Unforgettable? If you are planning on getting married in Orlando or Central Florida, then you have chosen one of the most spectacular places in the country for your very special day. With a variety of both indoor and outdoor Orlando wedding venues to choose from, Stay Happy Stay in Love has a location for your wedding that will appeal to both bride and groom. We are very proud to have served the Orlando – Central Florida – Kissimmee areas for over 25 years, and have supported all Central Florida wedding venues. Our primary goal is to cater to your personal requirements as you plan your Orlando, FL wedding. Our experienced, professional Orlando wedding coordinators can make your dreams a reality by efficiently helping you with your bridal requests. Our unique approach offers brides and grooms multiple options for Orlando, FL wedding venues and services. If you are on a budget, we have a variety of options and Orlando venues that will fulfill your dreams of having an elegant wedding. Why settle for anything less than the best? You CAN have your wedding amongst a beautiful Orlando area setting, all while saving money to help you get started in your new life. Indeed, we are only limited by the imagination when it comes to your Orlando, FL wedding, and we can arrange even the finest of details. Would you like to have a four-piece orchestra, professional harpist, or vocalists provide music at your Orlando wedding? Would you like doves released to fly overhead in a symbol of peace of tranquility? Or would you perhaps like a myriad of butterflies flitting about in your first moments as a newlywed couple? 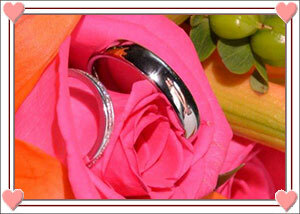 At Stay Happy Stay in Love, we are eager to meet your wedding requests and exceed your expectations. We also understand that your choice of Orlando wedding venues is of extreme importance. There is no reason why you should make concessions when it comes to fulfilling your wedding day fantasies. Make your dreams come true at one of our outdoor venues, including a Florida beach or Orlando garden setting. 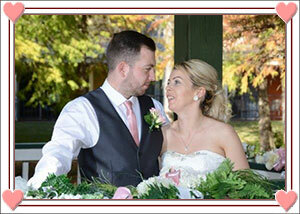 No matter what your needs might be, we offer wedding services that are designed to suit your personal requirements. Orlando and Central Florida’s weather and numerous attractions make it the ideal place to rekindle your romance. Our Orlando area wedding venues are perfect locations to re-imagine your wedding day, or make a lasting impression on your spouse that they will never forget. There are numerous reasons why couples choose to renew their vows. Perhaps it is a special anniversary celebration, or maybe you simply want to say “I love You” in a unique and fulfilling way. One thing is certain – there is no better way to reestablish the love you have in your heart for one another as a married couple. We offer a complete selection of Orlando, FL wedding blessings and vow renewal services with either Christian or civil vows. All of our Orlando wedding venues are available for these ceremonies, as are our other custom services. Seriously though, couples who have chosen Stay happy Stay in Love for their wedding day or vow renewal ceremony always have a special day that they treasure forever. We want your love to blossom for years to come, and we focus on taking all of the pressure off of you so that you can focus on what truly matter most. A Beach Wedding…. In Central Florida? Although we are located in sunny Central Florida, we are proud to offer a Florida beach wedding as one of our “Orlando wedding venues.” Best of all, the price of a custom beach wedding is far more affordable than people typically realize. Our beach wedding venues are stunning locations on Florida’s East Coast, known for pristine sand beaches and the rolling waves of the Atlantic Ocean. Richard Edgeton Beach and Pelican Beach are two of our most prized locations, and are located approximately 1.5 hours from our chapel in Kissimmee, FL (near Orlando). Many brides are literally swept away with the stunning beauty of Pelican Beach, and it has become the location of choice for discerning couples. For more information about "Beach Weddings Orlando FL," follow our link to our photo gallery of Florida Beach Weddings. Let us help you make your inner dreams a reality. There is no reason you should have anything less than the best on your Orlando wedding day, and we are here to offer it to you at realistic prices that you can afford. If you’ve already chosen Central Florida for your special day, then all that’s left is to select one of our incredible wedding venues. By offering a wide variety of locations and services for your Orlando wedding, we make it possible for you to enjoy your nuptials without hassle or aggravation. Whether you are looking for an Orlando wedding package, or prefer to completely customize your experience, we are here to serve you with a full-service menu of preferences and options. Orlando, FL is known worldwide as a getaway and vacation destination. At Stay Happy Stay in Love, we would like to be a part of your ceremony, and help you realize every detail of how you’ve always imagined your Orlando wedding. We offer Florida weddings at affordable prices, and Orlando venues that are the perfect setting for getting started in your new life together. Choose us for your Orlando wedding. Stay Happy. Stay in Love.